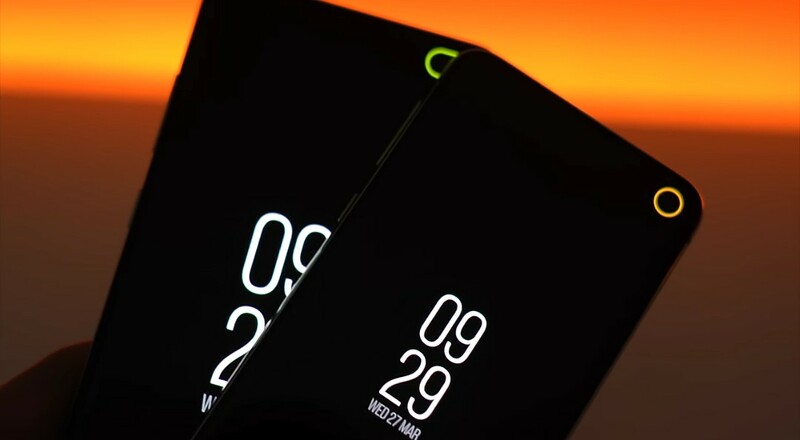 Now Samsung in bid to stretch the displays of its new Galaxy S10 models from top to bottom, and at the same time avoiding the Apple's notch which they've been ceaselessly trolling the iPhones for, they had to come up with something entirely different and new. 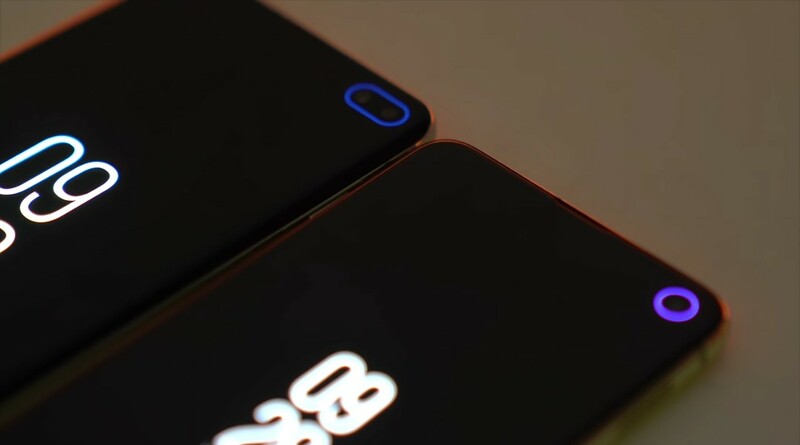 So they came up with the Hole Punch Camera Display, that is, cutting an actual hole on the displays of the Galaxy S10, S10e and S10 Plus models. Though this is a well thought out design and it really looks beautiful and at the same time futuristic, but Samsung had to cut some corners in order to achieve that. And that was doing away with "Notifications LED" and even its iconic Iris scanner. 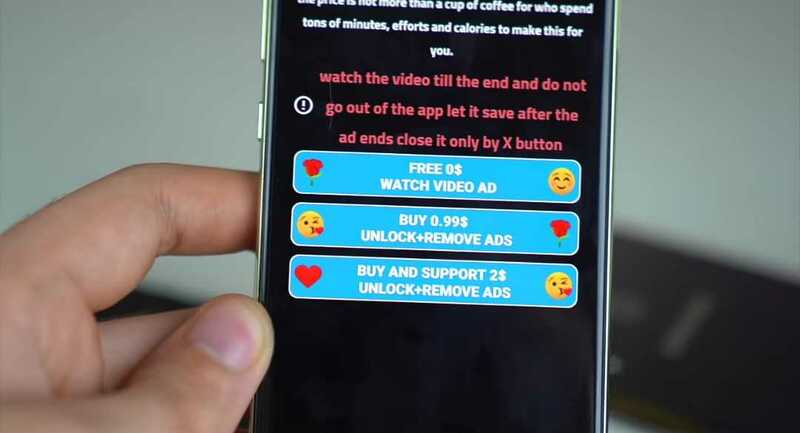 So if you had a notification on your phone while the display is turned off, there was no way the phone could constantly let you know about that unless you have the Always On Display turned on, but as you know, not everyone is really addicted to always on displays on smart phones just the way they are to a native notifications LED. 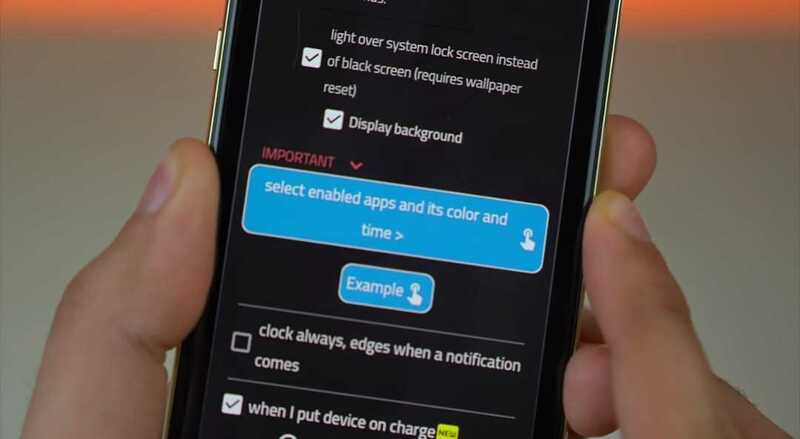 And one very funny thing was that, Samsung didn't even care to make any mention of this during the launch and even leaks of the Galaxy S10 devices, so a lot of people were really disappointed with Samsung when they discovered their new Galaxy S10 device, doesn't have a native notifications LED. But all hopes are not lost, because there's a solution, and not just any solution, but a better one at that. And what is it? Well some group of creative minded individuals who patrol themselves as the "Edge Lighting AOE" on Google Play Store, they created this really cool app and called it the "Always On Edge". And what does it do? 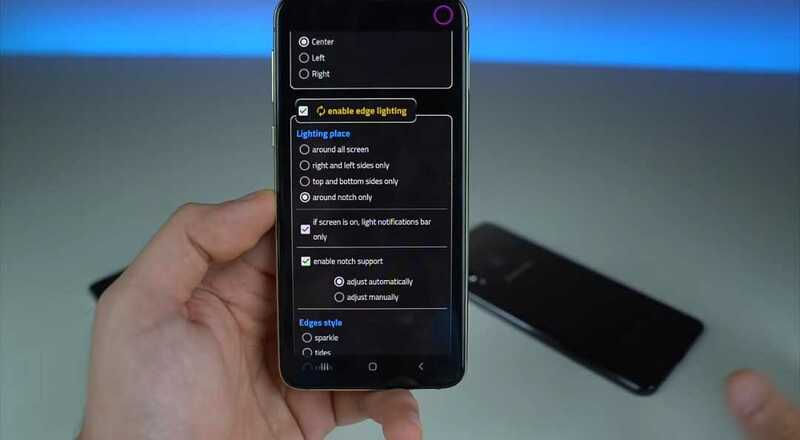 Simple, it does quite a lot of things, but the most important one we're gonna be focusing on today, is how to make use of it to setup a notifications LED, using the camera cutouts on the Galaxy S10e, S10 and the S10 Plus models. something that looks like this.. 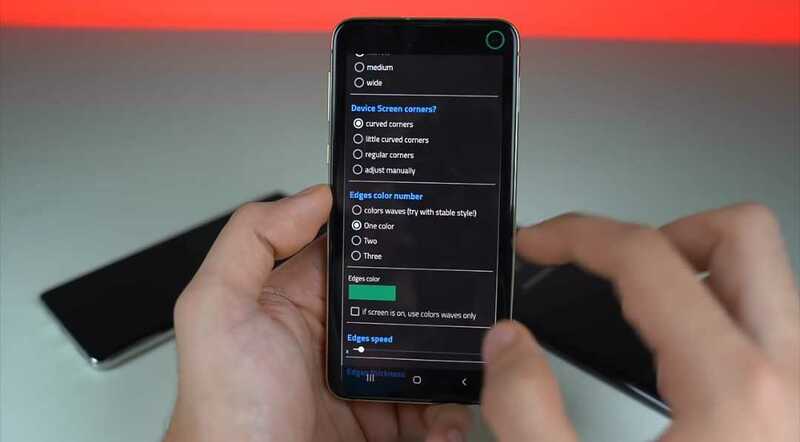 So without further ado, let's move on to see how we can setup notifications LED on our Samsung Galaxy S10 smart phone. 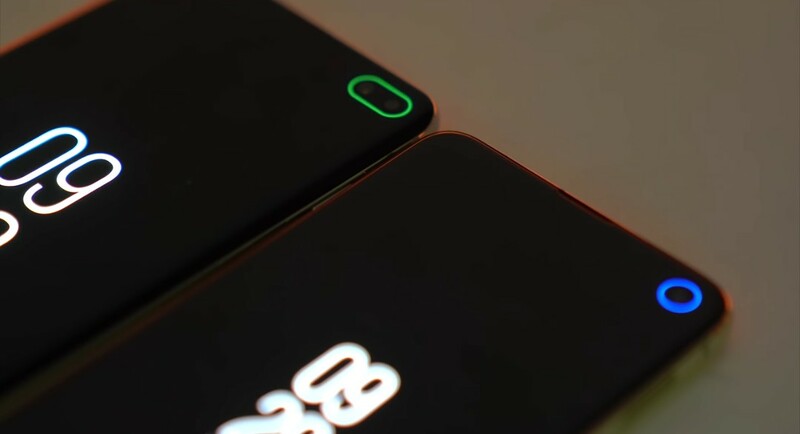 How To Setup and Enable Notifications LED on the Samsung Galaxy S10, S10e and S10 Plus models, by making use of the Hole Punch Camera Cutouts. So first of all, we have to download the app by going to Google Play Store right? well you can as well do so by clicking on the install button below. After you're done downloading, install it, open it and allow access for the necessary permissions it will ask you for. Then we move on to the next step which is the actual setup. But first of all, i will like us to know that the app itself is an Always On Display app, but unlike every other similar apps out there on Google Play Store, this one gives you a ton of customizations and settings that you can play around with. So what we are actually gonna be doing today, is to set it up in a way that a ring of light will be shown around the punch hole camera cutout of the Galaxy S10 models anytime we have a notification on the phones.. So without further ado.. Let's get started. So after you've followed and done the first two steps above, your app should be up and running by now, and the next thing you should do is tap on the settings menu above, and scroll all the way down until you see the option that says "When a notification comes". Tap on the check box to enable it, and you will be given three more options that lets you choose when always on display should be activated. The first one is "when screen is off", the second is "When screen is on" and the last is "always on or off". So in this case we'll be making use of when a notification comes in, and the display is turned off. Now just below all those options, you will see another option that has this red IMPORTANT label on it. And it says "select enabled apps and its color and time". So this is the option that will allow you to choose what apps that you want to send you notifications and also activate the always on display. So just tap on it, and select "Enable all". And if for any reasons best known to you, you don't want to enable all apps, you can scroll through the list of apps and disable whichever one you want individually. You can as well set separate color of notification for separate apps, the time and all that. 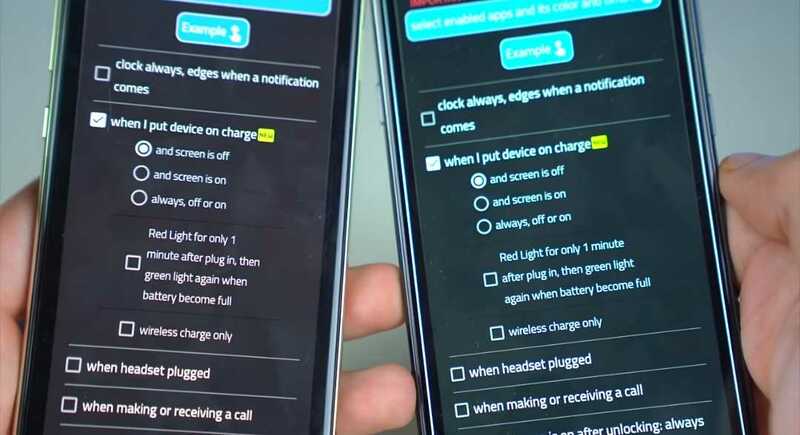 Now after you've done that, you can as well decide if you want the phone to show notifications or the always on display when you put the device to charge. Same options you had for "when notification comes in" is the same options you'll have here too. So just set it to your taste and let's move on to the next agenda. Now this is the most important part of this tutorial or trick, or session, i don't know, whatever way or thing you want to call it. So what is it? 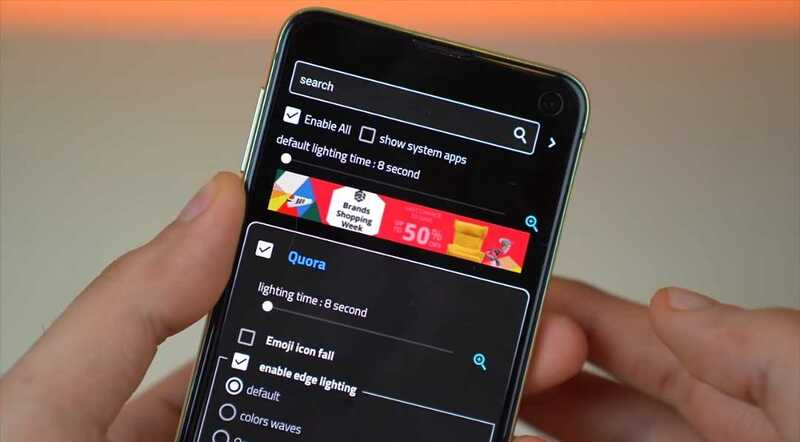 Simple.. now we're gonna set the always on display notifications to show or display, only around the edge of the Samsung Galaxy S10, S10e and S10 Plus punch hole camera cutouts like the picture i showed you up there.. Okay don't worry, let me just show you one more time. So when you keep on scrolling down, you will see a yellow labeled option that says "Enable edge lighting". And as usual, tap on the check box behind it to enable it. You will be given four more options to choose from. 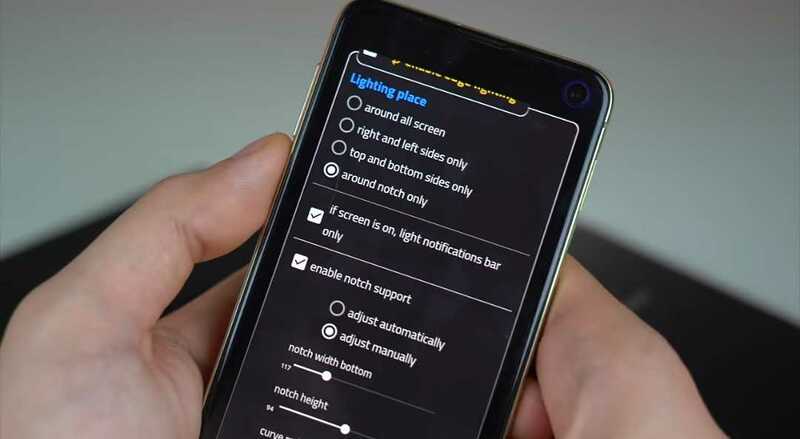 There is the "around all screen" option as you can see above, "right and left sides only", "top and bottom sides only" and the last one is "around notch only", which is the one we're going to be making use of. Then you can customize how you want the size of the notch to be by checking the box that says "enable notch support". You can set it to manually if you want to customize that yourself, or simply leave it to automatic if you just want the system to decide what is best for you. Then go to edge styles and select how you want the effects or animations of the notifications to be. We have "Sparkle, Tides, Crash, Follow, Stable, Flicker and Worm". You can test each of them individually and then select which one you liked the most. After that, you can set the color of the notifications. You have the options to choose the mixture of several colors, or just set it to a single color, two colors, or a mixture of just three. Now after you've done all that, it is time to save your settings right? Because if you don't save, it simply means all those things that you've just taken the best 10mins of your life to setup, will just be for a waste. 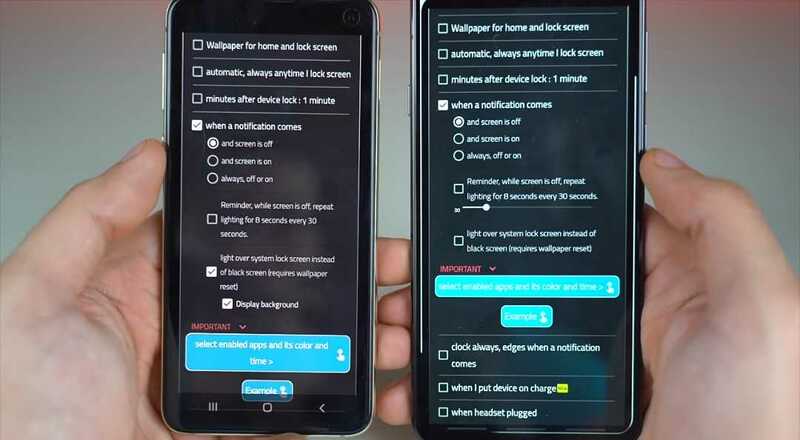 So choose any of those options which suits you best, and boom, when you receive a notification on your Samsung Galaxy S10e, S10 and S10 Plus, you should have something like this..